My initial reason to become a veterinarian was because of my love for animals. Beyond this I am drawn to the variety of tasks this profession requires, along with the challenge of ‘solving puzzles’. My goal with each patient visit is to help educate people to enable them to care for their pets even better. I am married and we currently share our home with Tilley, a Tibetan spaniel cross who enjoys traveling with us on land and water. There’s nothing a glass of wine can’t fix. “I feel very privileged to have been able to live out my childhood dream. I’ve wanted to be a veterinarian since I was about 5 years old." As a kid I wanted to be a vet, like many kids. Then in high school that plan went off the radar for a while but closer to graduation I had to start thinking about what to do as a grownup. I still loved animals and I figured it would be nice to do something that's a bit more hands-on than just sitting at a desk, so going back to my childhood dream made sense. Every visit I try to have a beneficial effect on an animal's well being. That can be as simple as making owners aware of their pet's weight problems and making a plan to tackle that or as complicated as making a diagnosis of a serious condition that required doing a large number of different tests to get to the bottom of before we can start treatment. I also try to make patient visits as little stressful, or for some patients as much fun, as possible. At the same time I try to make sure that the owners have a good understanding of any medical concerns we might have about their pet so we can work together to address these. I had this idea as a kid that working with animals would be the best job in the world. At the age of thirteen I started volunteering at a mixed animal practice and subsequently got hired and the rest is history. My goal with every patient visit is to have every patient leave the hospital with their potential health issues or current disease addressed or at least their comfort and safety addressed. I also want my clients to be able to leave the hospital with more knowledge on how to help their furry friends. My current household is being overseen by a fuzzy black and white cat named Edward Scissorhands aka Eddy. 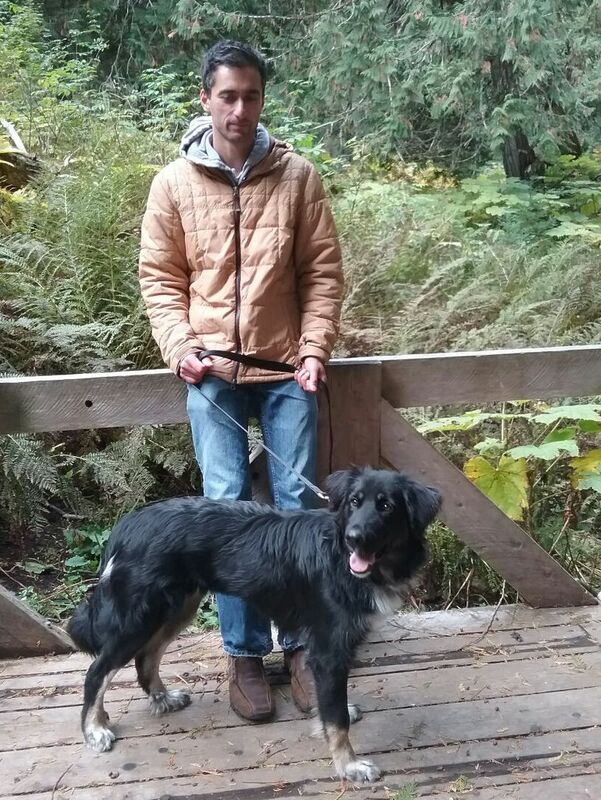 The canine component is a lovable, energetic Border Collie mix and a toothless popcorn fluff of a Papillon. There is not one core philosophy I have because I try to reflect on other’s perspectives. I do believe that you should treat others as you would like to be treated and do everything within your power to make this world a better place. Corny, I know! I was drawn to sciences and medicine in school and my love of animals grew through 4-H and other activities. I thought it would be something I would never get bored doing. 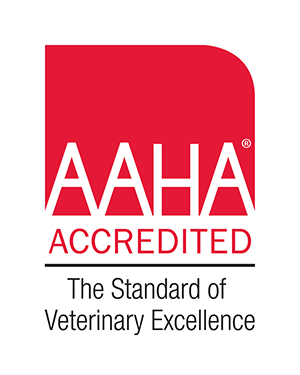 My goal with each patient visit is to give pets the best quality of life and care by educating their owners to make informed decisions in the best interest of their pets. My family consists of Bru, a ten year old yellow lab and Gabriel (Gabe), a three year old domestic medium hair feline. I guess the ‘do no harm’ mantra applies to both my personal and professional life in that I do not want to cause suffering and am drawn to healing. 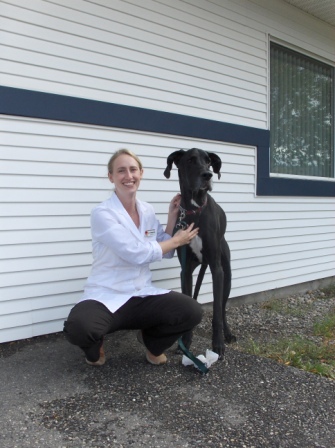 Jacquie graduated from the Veterinary College in Edinburgh, Scotland in 2018. 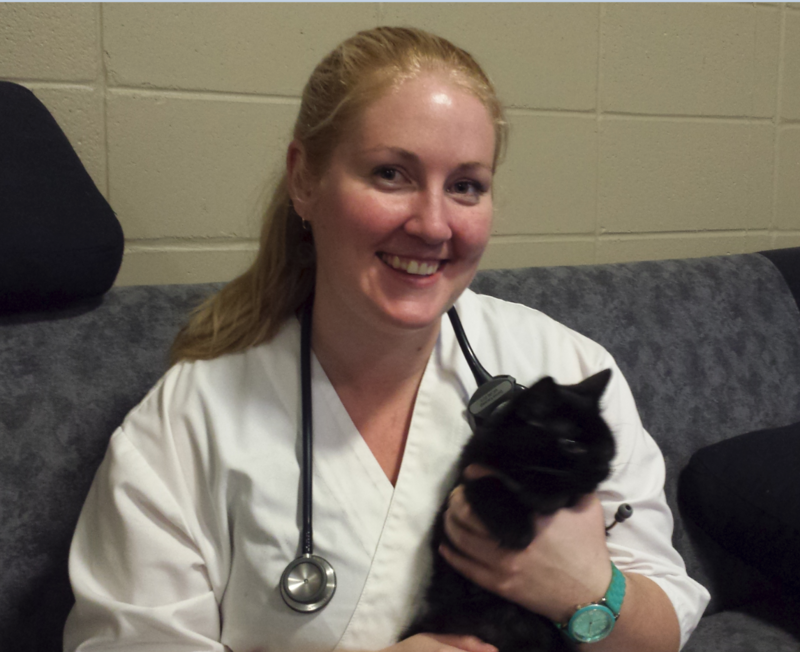 She joined our team in October 2018 to begin her veterinary career. We will tell you more about her soon.